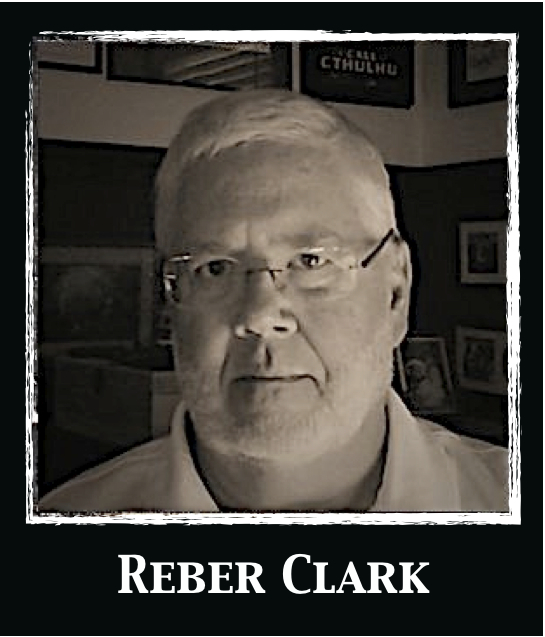 Reber Clark was born in 1955 in Des Moines, Iowa, USA. He attained a B.A. Degree in Music Education under the direction of Gene Witherspoon, and studied composition under James Perry while attending Arkansas Tech University in Russellville, Arkansas. He taught in the public schools for several years before leaving that profession to pursue a career as freelance composer, arranger, and performer. Mr. Clark’s movie, Lovecraft Paragraphs, was screened to dubious acclaim at the 2009 H. P. Lovecraft Film Festival in Portland, Oregon. His short, Midnight, The Stars and Lovecraft premiered at the same festival in May, 2012. He continues to score for film and has projects in active development including a score for esteemed director Clarke M. Smith’s short film Crazy Joe (completed) and the H. P. Lovecraft Historical Society’s Dark Adventure Radio Theatre production of The Case of Charles Dexter Ward (completed). He has recently provided music for Dan Baines’ new illusion A Book at Midnight for Lebanon Circle Magic Prop & Illusion Design, UK. Recent theatre work includes a score for Theatre Banshee’s (Los Angeles) production of Shakespeare’s The Merchant of Veniceand incidental music for their production of Oscar Wilde’s The Importance of Being Earnest, both directed by Sean Branney. His music has been featured prominently on the H. P. Lovecraft Literary Podcast (hppodcraft.com). Mr. Clark's works for concert band and wind ensemble are published and distributed worldwide by C. Alan Publications, Greensboro, North Carolina, USA, Southern Music Company, San Antonio, Texas, USA, Columbia Pictures Publications, Hialeah, Florida, USA, Warner Brothers Music Publications, Miami, Florida, USA, and Wingert-Jones Music, Inc. Kansas City, Missouri, USA. Mr. Clark's mass for wind ensemble Landscapes of the Soul, was performed in Chartres, France during its Easter celebration in 1995. The work was also performed at selected sites across France, including chateaux in Chenonceaux, Malmaison and in Avignon. He has fulfilled numerous commissions for professional, community, college, university, high school, and middle school bands. He has composed and arranged music for hundreds of jazz charts, theatre works, variety shows and studio projects. He was a speaker at the United States national ASBDA convention on procedures for commissioning a new work. Mr. Clark's performance experience includes many years on trumpet as a studio musician. He has performed in bands for internationally known performers such as Bob Hope, Mitzi Gaynor, the Four Tops, The Temptations, and others, including a road tour as lead trumpet for the New Sam and Dave Revue. He currently resides in suburban Chicago. Combining passion and professionalism, Dead House Music’s resident (de)Composer, Mars, has built a solid reputation as a musician who consistently delivers what filmmakers want… On time, on budget, and stylistically on target. Mars is a multi - instrumentalist who has performed with symphony orchestras, as well as jazz, metal and goth bands on tours through Canada, and the United States. He is an accomplished session musician, and recording engineer. Having grown weary of the road, Mars decided to combine his two greatest loves; music and horror films, founding Dead House Music in 2005 as a company specializing in original, high quality music for independent genre film. Having subsequently worked with clients in Scotland, England, New Zealand, Canada, The Czech Republic, and all over the US; Mars has never looked back. With 35 completed projects (feature films, shorts, TV programs, DVD, and video games) to his credit to date; Mars has worked with genre veterans, as well as talented young directors alike. His music has been featured in films that have received theatrical release, as well as projects that have secured worldwide distribution on DVD, Video-On-Demand, Internet, and Television. 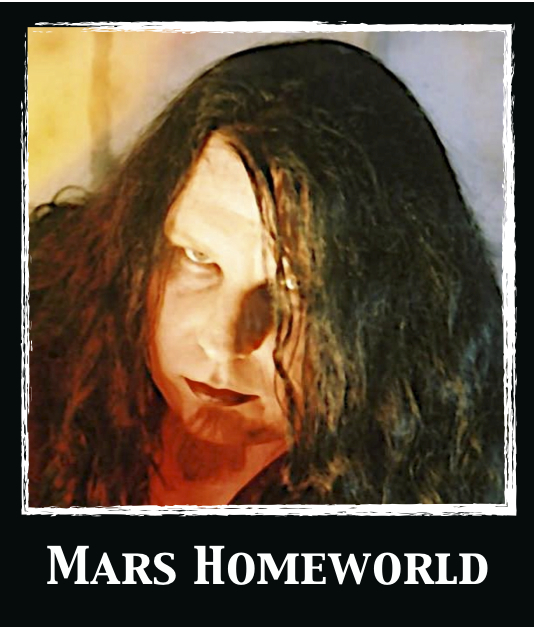 Mars has appeared in many online publications such as About.com, FearZone.com, Dread Central.com, as well as a feature interviews in Rue Morgue and Fangoria Magazine. In, 2006, an interview with Mars for Fangoria TV ran in over 50 theaters across the US, as part of the pre-show entertainment before Fangorias advance screening of The Descent(Lions Gate Films). He has appeared as a featured speaker at numerous horror events alongside genre luminaries such as Tony Todd, Stuart Gordon, Jovnka Vuckovic,Tony Moran, Lloyd Kaufman, Debbie Rochon, veteran composers Richard Band & Stephen Parsons, with many appearances yet to come. 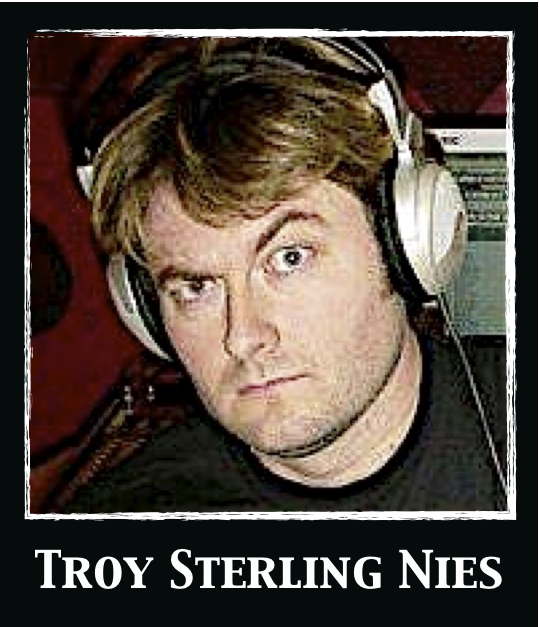 Troy Sterling Nies is a composer, paramedic, physician assistant, gamer, father and husband. Not necessarily in that order every day (save for the husband and father!). His diverse experiences and vocations have provided him with a rich and often dark resource from which to find inspiration for composing to film. Originally born in Bismarck, North Dakota, he now resides in the Badlands-area of western N.D. Troy maintains a studio in his home and composes for a wide variety of media, including feature films, video games, concert hall, stage, acid-rock bands and everything in between for projects across the globe. Troy composed music for HPLHS' cult-classic films The Whisperer in Darkness and The Call of Cthulhu. He is also responsible for the spine-tingling music and sound effects in HPLHS' Dark Adventure Radio Theatre series including At the Mountains of Madness, The Dunwich Horror, The Shadow Over Innsmouth, The Shadow Out of Time, The Call of Cthulhu and The Colour out of Space. Other film credits include In Search of Lovecraft and The Ethereal Plane. Will received his BFA from SUNY Purchase following formal music training at the University of Miami and the Berklee College of Music. Classically trained, Will is adept at a wide range of musical styles and mediums, from classical to rock, film to theatre and has performed in venues as diverse as Broadway pit orchestras and rock clubs. He has composed and orchestrated for numerous original stage productions both in the U.S. and abroad. Many of his theatrical works are published by Samuel French including the award-winning A Tale of Cinderella with Songwriter Hall of Fame inductee George David Weiss. Film scores include Dorian Blues, Nate Dogg and The Thing On The Doorstep. He has produced and composed for numerous award-winning audiobooks including Sherlock's Secret Life and the Audie Award nominated Hollowville: A Ghost Story, featuring Bruce Dern. His music can also be heard in commercials and corporate industrials for clients as diverse as New York Life, GE, Coca-Cola, Bell South, Raytheon and Home Depot. Will's record production credits include projects for Warner Music, Atlantic Records and various indie labels. 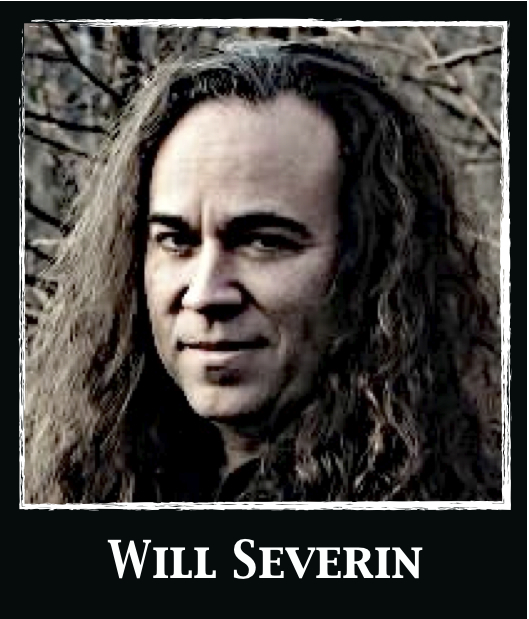 In addition to his solo guitar instrumental project and his singer/songwriter endeavors, Will is also the lead singer of the progressive rock group Infinite Spectrum. Misguided, their debut release is an epic concept recording with a dark fantasy theme. Will is a partner in The Creatives/Handsome Spyder, a film production company specializing in the creation of high quality commercials, industrials, films, and web-based content. Handsome Spyder recently produced the H.P. Lovecraft based feature film, The Thing on the Doorstep and are currently in pre-production on their next horror-based feature.